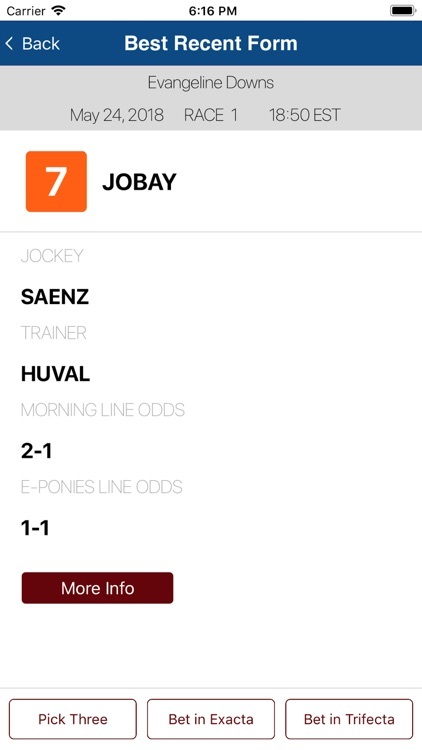 If you need a quick horse pick and you don't have a racing form. Or you don't know anything about horse racing. 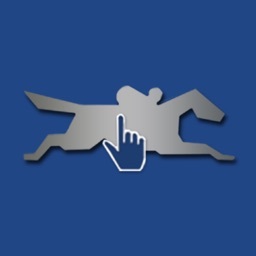 Or you know how to pick horses but you want to see what the computer program likes. If any or all of these conditions are met, you should have One Click Pony. You don't have to enter any data and the picks are easy to understand. 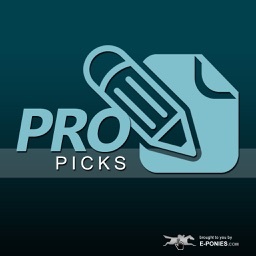 Just turn it on, wait for the picks to download to the iPhone and go to the betting window. 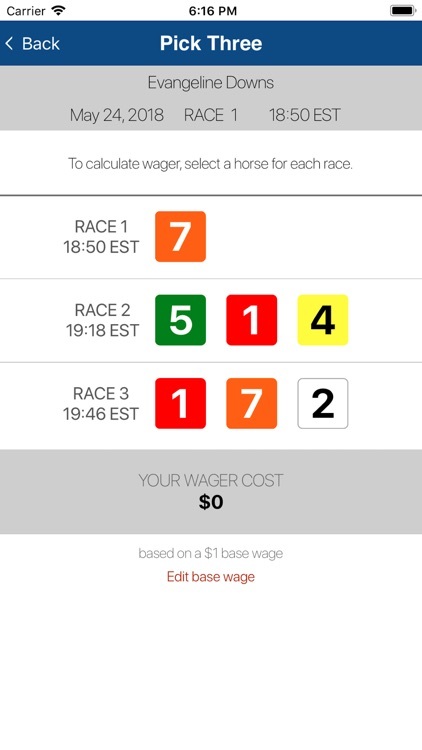 You can choose between 30 tracks in North America - please note that not all 30 tracks are racing all the time. 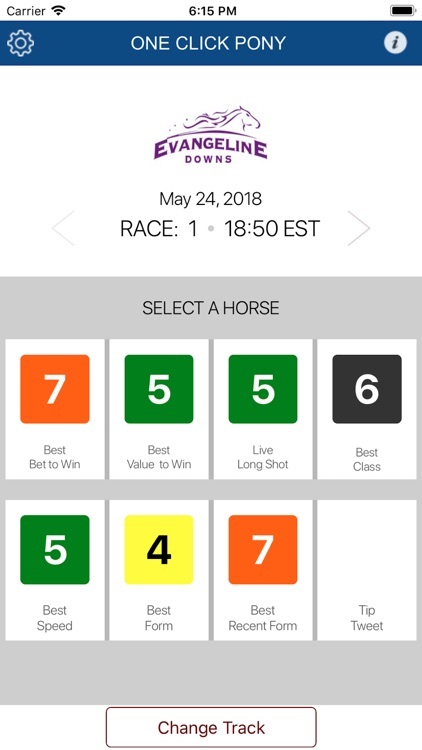 The most you will see on this app at any one time is about 10 on a Saturday, but if you are at a major track, this app has it. How does One Click Pony make it so easy? Nationally syndicated handicapper, Liam Durbin, produces computer-based handicapping products every day for the Chicago Tribune, LA Times, ESPN.com, and several others. His computer program converts the output to XML where it can be downloaded to your iPhone in just minutes. 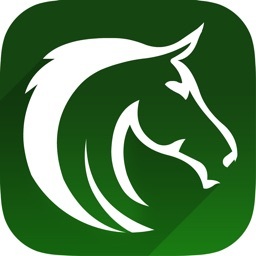 Read more about the computer program at http://www.e-ponies.com. 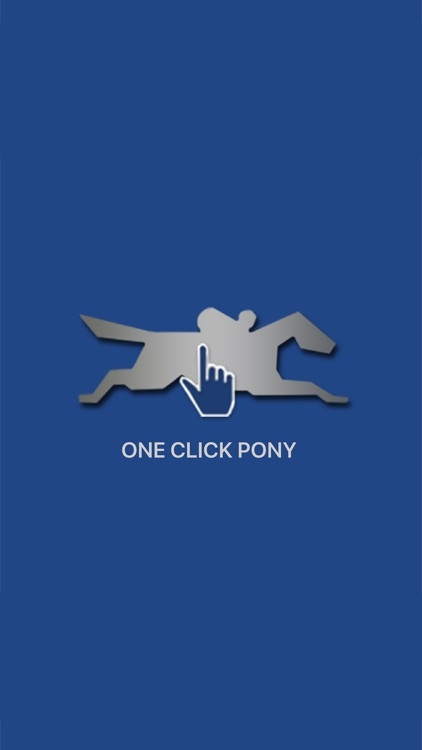 One Click Pony has a ridiculously simple, attractive interface that makes choosing a winning horse very easy. 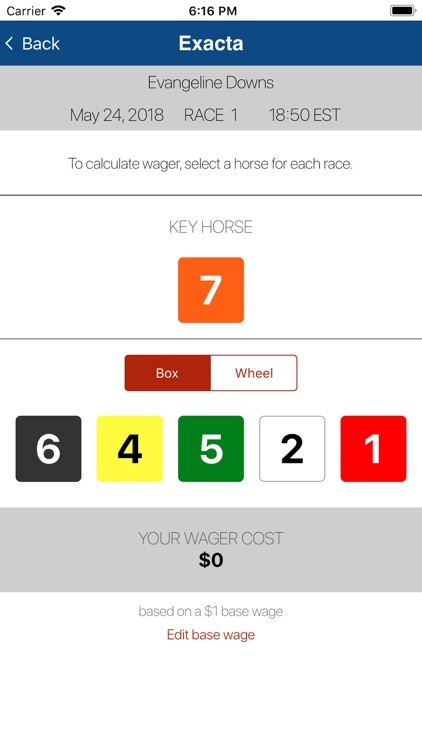 Includes a wager calculator for exacta, trifecta, and pick three wagers. 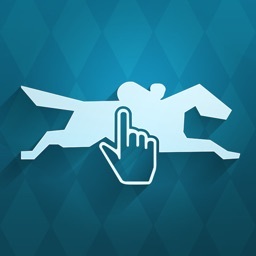 This app does not do scratches automatically but you can click and drag horse off the screen and it will be replaced by an alternate choice. FOR SUPPORT - visit the forum at the URL below. See if someone else has already reported the same problem. If not, post a note or email us at the address below. You will get a response! 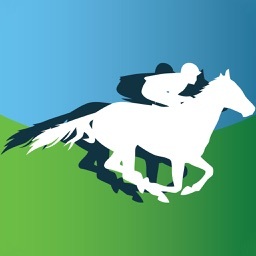 Visit us online at www.e-ponies.com.